Bulbs are one of my very favorite flowering plants. Maybe my favorite. It’s hard to commit to only one favorite. But if a plant has an underground storage organ holding the entire life cycle of the plant inside it, I’m probably going to like it. In the Central Asian section of the Steppe Garden in April the primary blooms you will find include fritillaries, corydalis and tulips. 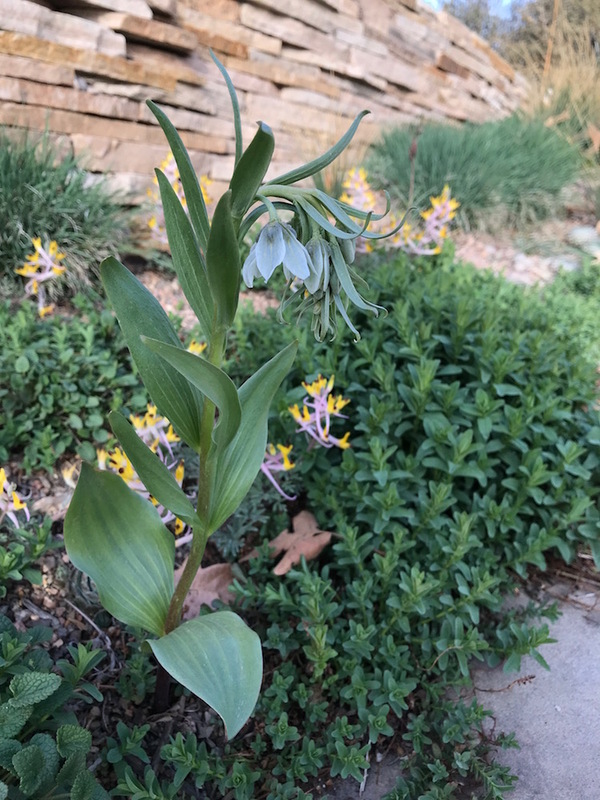 Fritillaries are in the lily family and have muted or earthy colored flowers that usually nod and emit a skunky odor. Some are small and delicate, like Fritillaria ruthenica, while others are larger and more vigorous like Fritillaria sewerzowii ‘Black Bear’. Other fritillaries you will find here include F. pallidiflora, F. bucharica ‘Nurek Giant’, F. eduardii, F. raddeana and F. sewerzowii. Corydalis are in the poppy family, found throughout the northern hemisphere, and some have tubers or rhizomes. These delicate looking plants are quite tough and natively grow in somewhat challenging conditions. For example, Corydalis ruksansii, named after bulb expert Janis Ruksans, originates from the steppe of Tajikistan and Uzbekistan where it grows up to 8,000 feet, Corydalis schanginii ssp. ainii is native to the Kara Tau Mountains of Kazakhstan and Corydalis angustifolia is native to the Caucasus, Turkey and parts of Iran. Up to fifteen different types of tulips could be blooming here at any one time in April. 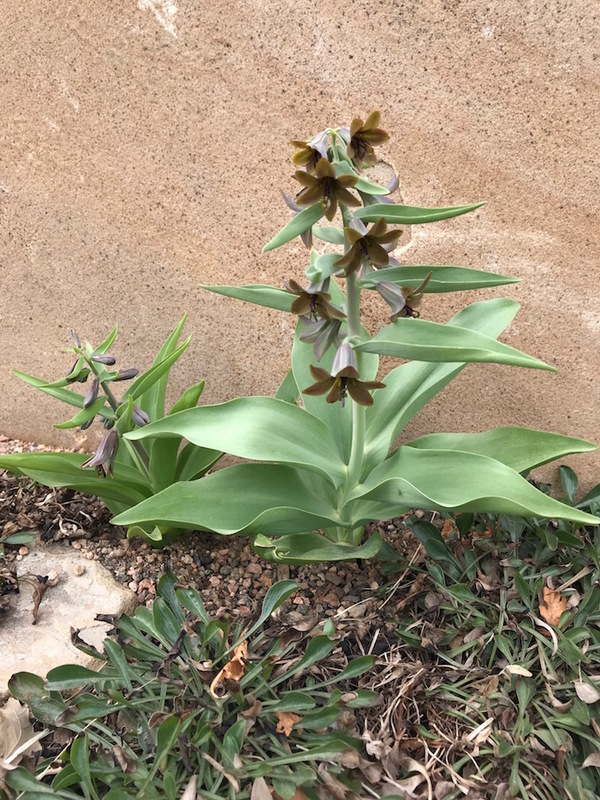 Most of these are like species or wild tulips and less like the more hybridized tulips you find in a bouquet at the florist. Some are quite small with very thin leaves and might not even look to you like a tulip. These include the yellow Tulipa sylvestris, T. dubia Beldersai, T. tarda and the white T. turkestanica, T. biflora, and T. bifloriformis. Greigii tulips have the larger flowers and wider leaves that seem more typical of tulips. They grow wild in the Tien Shan mountains of Kazakhstan at higher altitudes on hot dry slopes. They are especially known for the purple mottling on their leaves and their large vibrantly colored flowers, most notably red! Tulipa ‘Toronto’ and Tulipa 'Casa Grande' are examples here. 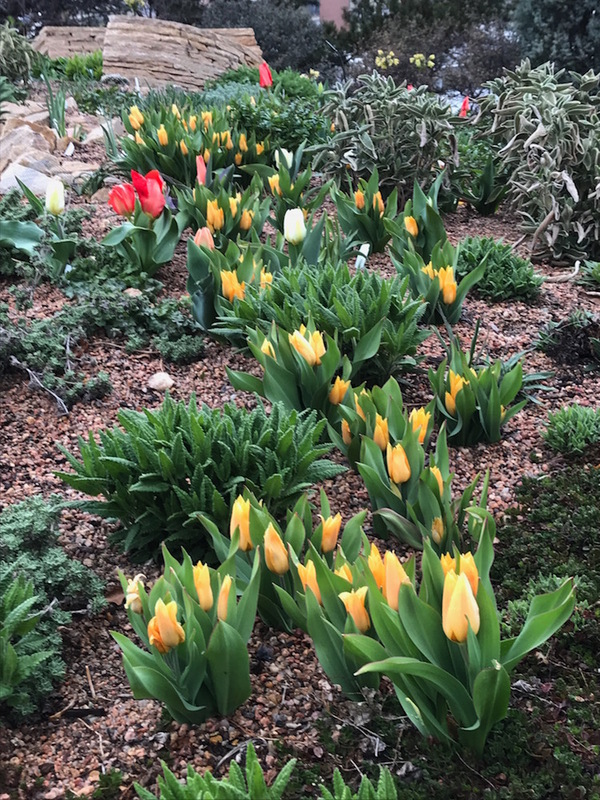 In the wild, Tulipa praestans grows in the Pamir-Alay mountains of Central Asia on rocky slopes and the yellow Tulipa praestans ‘Shogun’ is planted here. As you continue to stroll around the gardens look for the many more spring bulbs that you can find blooming. 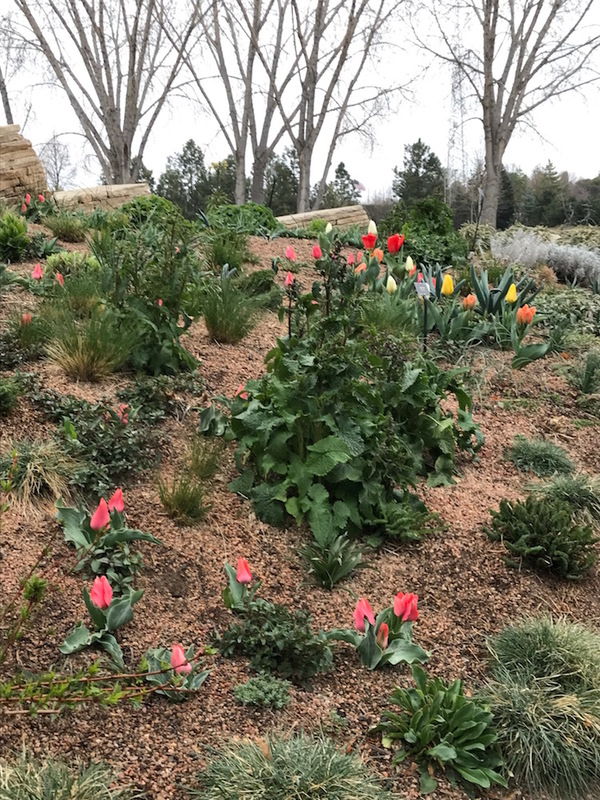 When is the peak of the tulip bloom at Denver Botanic Gardens? The tulips will start opening this weekend, so next week into next weekend would be best for viewing. We will share bloom updates on our social channels. The tulip descriptions above are nice, but when are the tulips in full bloom-please give specific dates. Thaks you.